By using iList, you acknowledge and agree to the terms, conditions, privacy policies, and restrictions as outlined in this End User License Agreement (“Agreement”). There are additional disclosures that apply to residents of Colorado, Kansas, Missouri, New York, North Carolina, Rhode Island, South Carolina, and Texas. Briko Realty Services is a licensed real estate brokerage that conducts real estate transactions through through the iList website. By using iList, you are agreeing that you will abide by and follow all of the terms and conditions of use as listed below. You acknowledge that you are considering using iList as your real estate brokerage for either listing, selling, or leasing real estate. This is not a binding commitment but just your acknowledgement establishing that you are considering a real estate transaction with iList as your broker. You are entering into a lawful consumer-broker relationship with iList LLC, which may be terminated at any time by you. Any information obtained from the iList website is intended only for your personal, non-commercial use. You will not copy, redistribute or retransmit any of the information provided except in connection with the purchase or sale of an individual property. You understand that iList authorizes MLS employees, MLS members, or their duly authorized representatives to access the iList website for the purposes of verifying compliance with MLS rules and monitoring the display of user listings on the iList website. You understand that additional agreements will be required to proceed with listing a home or the purchase of a home. iList will not display listings or property addresses of any seller who has directed the listing broker to withhold the seller’s listing or property address from internet display. The use of iList is simple-- we provide web based real estate transactions controlled by the consumer and supported by an iList agent. iList is open to all consumers who are considering buying, Selling or leasing of real estate in markets in which iList is operational. iList requires that each user has a user name and password, the combination of which is different for each user. Ilist will ensure that any email address is only associated with one user name and password. You are responsible for all activities related to the Services that occur through your account and password. It is your responsibility to keep your iList profile information accurate. You agree to keep your password confidential, not use others' accounts, nor permit others to use your account. iList reserves the right to terminate accounts at its discretion. Users are required to keep information entered into iList accurate and deemed reliable. iList will maintain a record of the name, email, user name and current password for each user. iList will keep such records and all information provided by the user for not less than 180 days after the expiration of the validity of the user’s password or as required by law. If the MLS has reason to believe that iList’s VOW has caused or permitted a breach of security of MLS Listing Information or is in violation of the MLS rules, iList shall upon request of the MLS, provide the name, email addresses, user names and current passwords of any users suspected of involvement in the breach or violation. iList will not share personal information of registered users with the exception of parties involved in a user authorized real estate transaction. iList, iList logos and other iList trademarks, logos, services, etc. used in connection with iList are registered trademarks in the U.S, or on file to be registered trademarks in the U.S.
All materials (including source code, data, images, and other content), including the selection and arrangement of the materials, are owned by iList or are licensed by iList for use in the iList application. iList will display an email address, telephone number, or specific identification of another mode of communication by which a user can contact iList to ask questions, or get more information about any property displayed. A licensed agent will be available to respond to inquiries within the market areas serviced. By using the iList site you are consenting to an iList team member communicating with you via email, telephone or other modes of communication. iList will employ reasonable efforts to monitor for, and prevent, misappropriation, “scraping”, and other unauthorized use of MLS information. iList will utilize appropriate security protection such as firewalls as long as the requirement does not impose security obligations greater than those employed concurrently by MLS. Except as directed, users may not modify, reproduce or redistribute any information provided by iList. iList is not responsible for errors in displayed information or delays in displaying and or receiving information. Information received and displayed by iList is information received and processed by other entities, MLS systems, or other data sources with their permission. iList does not edit or change data received. You grant iList a perpetual, unlimited right to use, reproduce, modify, distribute, and display any data you submit in relation to your property. You also grant iList a perpetual unlimited license to use this data as iList sees fit without further consent, notice and/or compensation to you or to any third parties. ALL USERS, SELLERS, BUYERS, CUSTOMERS AND CONSUMERS AGREE TO INDEMNIFY AND HOLD HARMLESS ILIST, BRIKO REALTY SERVICES, ILIST, AND ANY OF ITS MEMBERS, OFFICERS, OR EMPLOYEES FOR ANY AND ALL DAMAGES THAT MAY ARISE FROM THEIR USE OF THE SERVICES PROVIDED BY ILIST. ILIST PROVIDES THE SERVICES ON AN “ASIS” AND AS AVAILABLE” BASIS. ILIST DOES NOT CONTROL OR MONITOR USER GENERATED CONTENT FOR ACCURACY. ILIST DOES NOT PROVIDE ANY EXPRESS WARRANTIES OR REPRESENTATIONS IN ANYWAY OR MANNER. ILIST AND ITS SUPPLIERS DISCLAIM ANY AND ALL IMPLIED WARRANTIES AND REPRESENTATIONS, INCLUDING, WITHOUT LIMITATION, ANY WARRANTIES OF MERCHANTABILITY, FITNESS FOR A PARTICULAR PURPOSE, TITLE, ACCURACY OF DATA, AND NONINFRINGEMENT. IF YOU ARE DISSATISFIED OR HARMED BY ILIST OR ANYTHING RELATED TO ILIST, YOU MAY DEACTIVATE YOUR ILIST ACCOUNT AND TERMINATE THIS AGREEMENT IN ACCORDANCE WITH THIS AGREMENT AND SUCH TERMINATION SHALL BE YOUR SOLE AND EXCLUSIVE REMEDY. ILIST IS NOT RESPONSIBLE, AND MAKES NO REPRESENTATIONS OR WARRANTIES FOR THE DELIVERY OF ANY COMMUNICATION SENT THROUGH ILIST TO ANYONE. ILIST DOES NOT HAVE ANY OBLIGATION TO VERIFY THE IDENTITY OF THE PERSONS SUBSCRIBING TO ITS SERVICES, NOR DOES IT HAVE ANY OBLIGATION TO MONITOR THE USE OF ITS SERVICES BY OTHER USERS OF THE COMMUNITY; THEREFORE, ILIST DISCLAIMS ALL LIABILITY FOR IDENTITY THEFT OR ANY OTHER MISUSE OF YOUR INFORMATION BY OTHERS. THE OPERATION OF THE SERVICES MAY BE INTERRUPTED DUE TO MAINTENANCE, UPDATES, OR SYSTEM OR NETWORK FAILURES. We reserve the right to modify, supplement, or replace the terms of this Agreement at any time and for any reason. If a dispute arises between iList and the User, then both parties agree to resolve their dispute using an experienced mediator. 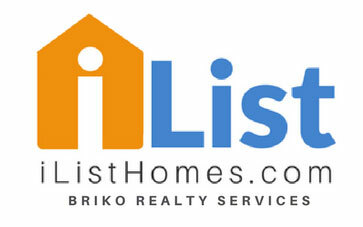 Following are disclaimers from various data sources used by Briko Realty Services and the iList website. The information is being provided by Greater Alabama Multiple Listing Service, Inc. Information deemed reliable but not guaranteed. Information is provided for consumers' personal, non-commercial use, and may not be used for any purpose other than the identification of potential properties for purchase. Copyright 2018 Greater Alabama Multiple Listing Service, Inc. All Rights Reserved. The information is being provided by Greater El Paso Association of REALTORS® Multiple Listing Service, Inc. Information deemed reliable but not guaranteed. Information is provided for consumers' personal, non-commercial use, and may not be used for any purpose other than the identification of potential properties for purchase. © 2018 Greater El Paso Association of REALTORS® Multiple Listing Service, Inc. All Rights Reserved. Copyright © 2018, Houston Realtors Information Service, Inc. All information provided is deemed reliable but is not guaranteed and should be independently verified. Any estimate of value was prepared using automated processes and should not be considered a comparative market analysis (CMA) or appraisal. You may contact Redfin to provide additional information and analysis for a more accurate estimate of the property's value. The information is being provided by Multiple Listing Service of the Knoxville Area Association of REALTORS. Information deemed reliable but not guaranteed. Information is provided for consumers' personal, non-commercial use, and may not be used for any purpose other than the identification of potential properties for purchase. 2018 Multiple Listing Service of the Knoxville Area Association of REALTORS. All Rights Reserved. Copyright© 2018 Memphis Area Association of REALTORS®. The information provided is for the consumer's personal, non-commercial use and may not be used for any purpose other than to identify prospective properties that the consumer may be interested in purchasing. Information deemed reliable, but is not guaranteed accurate. Some or all of the listings displayed may not belong to the firm whose web site is being visited. The MLS data provided for the property above is provided courtesy of Redfin Corporation. Source: Southeast Florida MLS. Information is deemed reliable but not guaranteed. © 2018. The listing data on this page comes in part from the Internet Data Exchange (IDX), a collaboration between the following REALTOR(R) associations in the Southeast Florida Multiple Listing Service (MLS): Miami Association of REALTORS®, REALTOR® Association of Greater Ft. Lauderdale and South Broward Board of REALTORS®. All rights reserved. The information being provided is for consumers' personal, non-commercial use and may not be used for any purpose other than to identify prospective properties consumers may be interested in purchasing. Use of search facilities of data on the site, other than a consumer looking to purchase real estate, is prohibited. The information is being provided by Mid America Regional Information Systems MLS. Information deemed reliable but not guaranteed. Information is provided for consumers' personal, non-commercial use, and may not be used for any purpose other than the identification of potential properties for purchase. Copyright 2018 Mid America Regional Information Systems MLS. All Rights Reserved. Copyright 2018 MLSOK, Inc. We do not attempt to verify the currency, completeness, accuracy or authenticity of the data contained herein. Information is subject to verification by all parties and is subject to transcription and transmission errors. All information is provided “as is”. The listing information provided is for consumers’ personal, non-commercial use and may not be used for any purpose other than to identify prospective purchasers. This data is copyrighted and may not be transmitted, retransmitted, copied, framed, repurposed, or altered in any way for any other site, individual and/or purpose without the express written permission of MLSOK, Inc. Information last updated on 5. The information being provided by MFRMLS is for the consumer's personal, non-commercial use and may not be used for any purpose other than to identify prospective properties the consumer may be interested in purchasing. Any information relating to real estate for sale referenced on this web site comes from the Internet Data Exchange (IDX) program of MFRMLS. Real estate listings held by brokerage firms other than this site owner are marked with the IDX/MLS logo. Information deemed reliable but is not guaranteed accurate by MFRMLS. The information is being provided by Northeast Florida Multiple Listing Service, Inc. Information deemed reliable but not guaranteed. Information is provided for consumers' personal, non-commercial use, and may not be used for any purpose other than the identification of potential properties for purchase. © 2018 Northeast Florida Multiple Listing Service, Inc. All Rights Reserved. The information is being provided by Northeast Oklahoma Real Estate Services, Inc. Information deemed reliable but not guaranteed. Information is provided for consumers’ personal, non-commercial use, and may not be used for any purpose other than the identification of potential properties for purchase. Copyright 2018 Northeast Oklahoma Real Estate Services, Inc. All Rights Reserved. 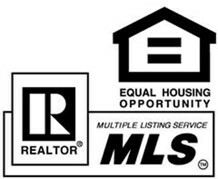 The information is being provided by MTRMLS, Inc. Properties marked with the MTRMLS logo are provided courtesy of the RealTracs Internet Data Exchange Program. Information Is Believed To Be Accurate But Not Guaranteed. Information is provided for consumers' personal, non-commercial use, and may not be used for any purpose other than the identification of potential properties for purchase. Copyright 2018 MTRMLS, Inc. All Rights Reserved. 2018 Triangle MLS, Inc. of North Carolina. All rights reserved. The data relating to real estate for sale on this web site comes from the Internet Data Exchange™ Program of the Triangle MLS, Inc. of Cary. Real estate listings held by brokerage firms are marked with the Internet Data Exchange™ logo or the Internet Data Exchange™ thumbnail logo ( ) and detailed information about them includes the name of the listing firms. The information being provided by WFAR is for the consumer's personal, non-commercial use and may not be used for any purpose other than to identify prospective properties the consumer may be interested in purchasing. Any information relating to real estate for sale referenced on this web site comes from the Internet Data Exchange (IDX) program of WFAR. Real estate listings held by brokerage firms other than this site owner are marked with the IDX/MLS logo. Information deemed reliable but is not guaranteed accurate by WFAR. This content last updated on Apr 20, 2019 09:00 PM. Some properties which appear for sale on this website may subsequently have sold or may no longer be available.